Responsible for day to day activities of advertising sale firm. Responsible for day to day operations, responsible for sales quotas for sales force of 250. Used computer-aided drafting skill s to prepare sketches, diagrams, floor plans and details. Worked with a team of members to create a catalogue architectural drawings based on building codes, project management and strict time lines. One of only 2 employees to have expertise with the Intergraph Graphics software. Humane Society; Big Brother; Children's Wish Foundation: Started an annual drive where part of sales proceeds went to the Children's Wish Foundation. As the President of the leading advertising sales company XO Media, Inc., Mr. Anthony Korculanic serves as the driving force behind the company’s success. Since first embarking on his professional career, Anthony Korculanic has built a solid reputation as a charismatic, results-driven leader. Maintaining an innovative managerial approach, Anthony Korculanic effectively leads his team in all aspects of XO Media’s day-to-day activities. Anthony Korculanic possesses a capacious range of qualifications, including fluency in three languages, efficiency in numerous software programs, including the Microsoft Office Suite, AutoCad, Photoshop, Intergraph Graphics, and Microsoft NT. Anthony Korculanic’s broad range of experience across numerous sectors prepared him for his executive role at XO Media. Prior to his employment at XO Media, Anthony Korculanic spent five years as General Manager of Intertech Marketing. Responsible for the management of everyday operations, Anthony Korculanic was accountable for the sales quotas for a team of 250. 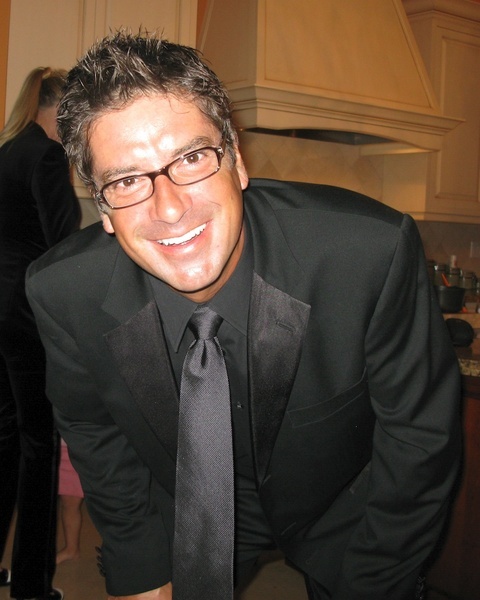 Anthony Korculanic also has experience in the architecture industry, where he started his professional career. An architect with the Toronto-based Brisbin Brook Beynon Architects, Anthony Korculanic has extensive experience in working drawings, commercial design, and renderings. A generous man, Anthony Korculanic contributes to numerous charitable organizations, including The Humane Society and the Children’s Wish Foundation. Anthony Korculanic also takes a more active role in his community by helping mentor children as a Big Brother in the Big Brothers and Big Sisters program. Furthermore, Anthony Korculanic instituted an annual drive where a portion of the sales are donated to the Children’s Wish Foundation. Anthony Korculanic graduated college with an Ontario College Advanced Diploma (OCAD) in Architecture in 1988. An honor student, Anthony Korculanic additionally served as the Captain of the Varsity Hockey Team.